Organizations of all sizes are provided with a complete overview of the efficiency and cost of their processes. Using sophisticated products, we map and visualize the life cycle of individual transactions through the internal processes, regardless of the number of transactions or the number of processes involved. Thanks to the transparency, the company is able not only to identify the weaknesses of individual processes, but also detect the parts fit for robotic automation. Optical Character Recognition (OCR) is the cornerstone of working with an undigitized text. 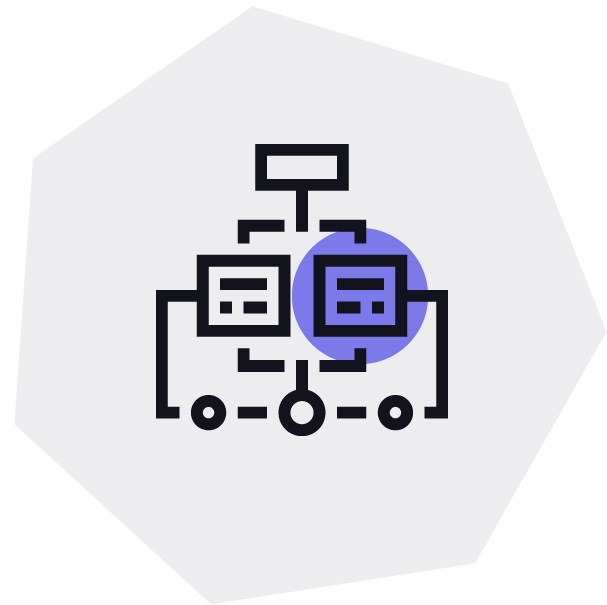 In cooperation with our partners, we deliver a solution that can convert data, otherwise unusable as an input for processes, into a digital and structured form. Subsequently, this data can be further processed as the input for automation, process analysis, or data analysis. With this step, organizations get an excellent opportunity to deploy other appropriate automation tools (NLP, RPA, RSO) that work with structured data and whose full deployment guarantees a wide range of benefits such as cost savings, process acceleration, zero error rate, new business support activities and increased satisfaction of end customers, as well as their own employees. Nature Language Processing (NLP) technology is built on the principle of understanding the text. We utilize the models where, apart from morphological analysis, we apply sophisticated sentence analysis based on text ontology, which enables us to understand the sentence in more detail. Following this principle, we develop a solution that embraces an understanding of the context of the received message, its categorization and the final acquisition of the pivotal information which is being subsequently worked on. As a result, we can interconnect NLP solution with RPA platform for the purpose of maximizing the automation as possible. NLP technology is supplied for major European languages, including the Czech language. Robotic Process Automation is an innovative technology, which brings a significant improvement in performance while processing a wide range of in-house processes. Automation is realized with the use of programmable software robots capable of executing time-consuming, repetitive and rule-based tasks that are usually done by people. Basically, most tedious administrative work can be now done with a software (virtual workforce, robots) while people move on to more complex, value-added assignments. We cooperate with both key RPA platforms and regional RPA vendors, for that reason we are able to deliver a solution under flexible business conditions tailored to organization’s needs. For organizations that have already implemented some of the automation technologies (RPA, NLP, OCR), we bring a revolutionary product which enables you to make the best of integrating these technologies. The connectivity of individual technologies through the Enate platform form the backbone of our approach. This connectivity is ensured by developing our own software connectors, fully independent of the preferred RPA, NLP, or OCR technology already used by the organization. To implement RSO is ideal for managing and continually measuring the quality of processes that are running automatically, or semi-automatically because they involve the interaction of virtual robots and human workers.